This past week I picked up Resident Evil 4 Wii edition and am now almost done with it. I had not played this game since it's original release on the Gamecube in 2005. It's amazing how much of this game I have forgotten even though I played and unlocked everything that is unlock-able in the gamecube version. Also, seeing as Resident Evil 5 was an action-horror game, Resident Evil 4 was RE's last standing survival horror title and a good one at that. 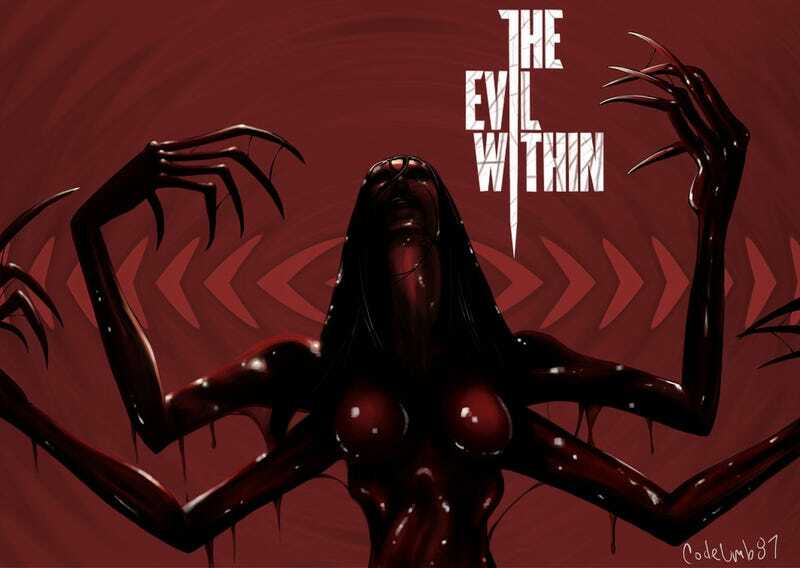 But really all this game has got me thinking about is Mikami Shinji's new project at Tango Gameworks, The Evil Within. The inventory system from RE4, but with some sort of ability to switch between weapons and items without opening your inventory. The music needs to create that erie atmosphere that is present in RE4. If I remember correctly, RE5 was the beginning of a shift out of the creepy atmospheric music and more into a adrenaline filled style. No co-op (which it does not have, thank the creator). Don't get me wrong, I love co-op, but a survival horror game is not a place for co-op. I mean look at the examples from RE5 and Dead Space 3, as soon as co-op was added in, it took away from the scare factor that the is supposed to be in the game. Ammo scarcity needs to return, in RE4 in the first play through you can find yourself running out of ammo frequently (even more so on the harder difficulties), and having to resort to other options. But in RE5 I felt it was much more difficult to run out of ammo, and often I was able to blast through everything with my shotgun. Typewriters(RE4 style). This might just be a fan service thing specifically for me, but the removal of the typewriter from the RE series is saddening. I think having the ability to save at certain times and not at others intensifies your decision making, even more so if you don't have an autosave system to rely on. Which RE4 sort of has, but it is implemented so that you don't constantly have to load back into each room that required loading to enter. The typewriters most likely will not make an entry into The Evil Within, but possibly Mikami will add in some sort of save system that doesn't revolve around the auto-save. Creepy monstrosities and intense AND interesting boss fights. RE4 had some really entertaining boss fights and enemy types, while RE5 had some less inspired boss fights and copy-and-paste enemy types. I think the return of these big moments will do some great justice for The Evil Within. And as of right now, I don't think enemy design is going to be a problem for it. No damned on-rails shooting moments. This was removed in RE6, thank the creator, but the inclusion of these in RE5 was gut wrenching and made me want to throw up. I can't wait to see what will be shown on The Evil Within at E3, let alone it's killing me to wait until August to play it. Hopefully, some of the greatness of RE4 will bleed into The Evil Within and provide everyone with one hell of an experience. So what does everyone think The Evil Within should include from Mikami's previous iterations of the RE franchise?